After the last turn of the National Road of Preveza – Igoumenitsa that leads to Parga, you will suddenly find yourself in front of a sight that will leave you amazed: a bay with beautiful deep blue waters, an astonishing castle opposite, the small island of Holy Mary in the entrance of the bay (with a church with the same name on it), and in the background a leafy mountain with olive trees which blocks the small picturesque town with its beautiful houses from the inland. Parga, stuck between the mountain and the sea and protected by a great castle, withstood the constant pressure by the Turks for centuries. Up until 1797, when the Most Serene Republic of St. Mark was brought down by Napoleon, Parga was a fortress as well as a commercial station of strategic importance for the Venetians in the Ionian Sea. Next there were also French, Russians, French again and finally the English, who sold Parga to Ali Pasha. Then, the Pargians went to Corfu and they came back only after Epirus was integrated to Greece. 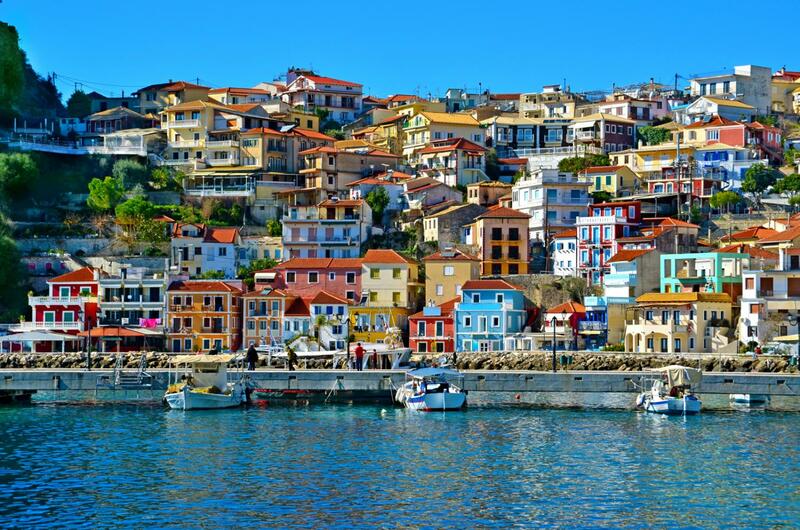 Every visitor in Parga can feel deeply the historical burden, as well as the cosmopolitan origins because of the relations Parga had with Italy and France. Except for the medieval castle (with a beautiful café in it!) you certainly cannot miss the little island of Holy Mary. You can go there even with a sea-bicycle! 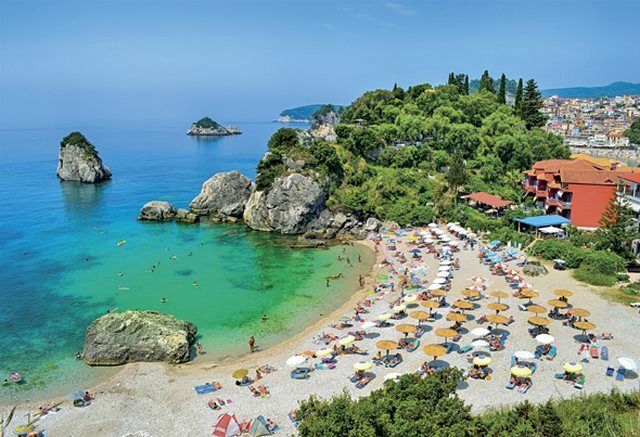 Valtos is a wonderful beach for bathing; it is lying behind the castle, about 2 km from the centre of Parga, and it is organized with cafés, restaurants and rooms. Another great option for bathing is Lychnos, 3 km far from the town, which is set in a particularly picturesque scenery, also known for its sea caves. Both in Valtos and in Lychnos you can do water sports. 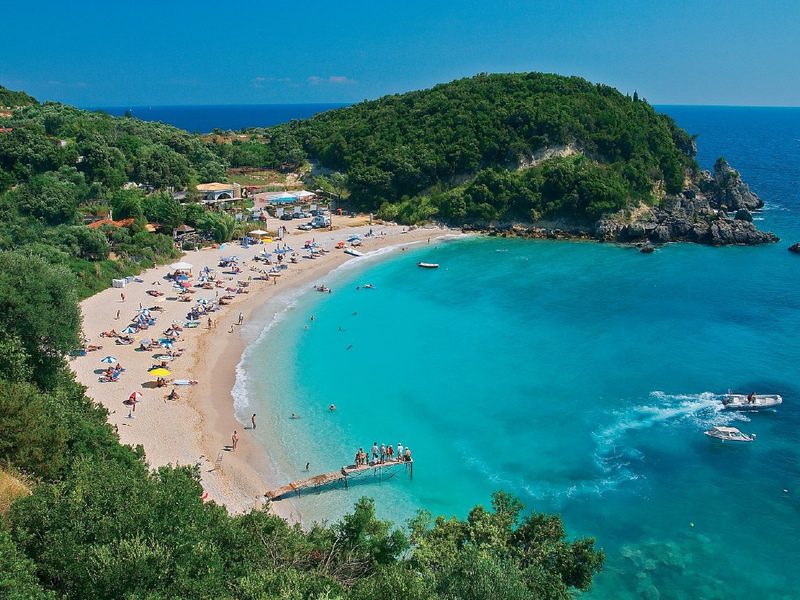 You can also go bathing inside the town of Parga in Krioneri beach, which is preferred by many families, and in the little seacoast of Piso Krioneri, which is more isolated. 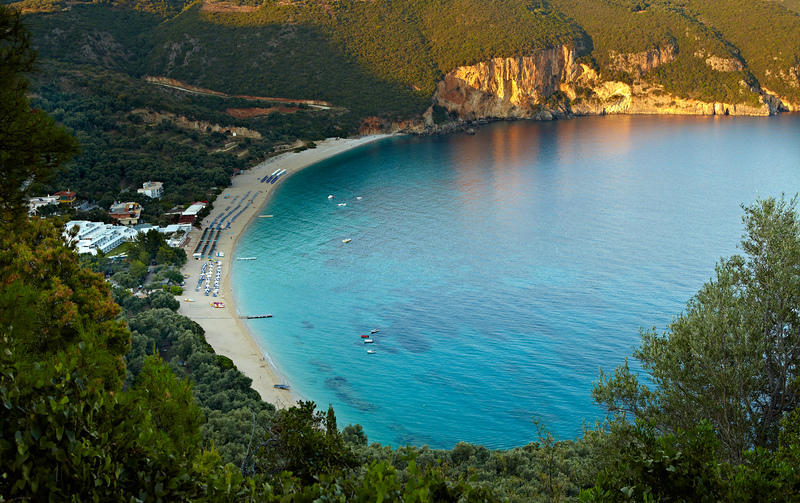 However, it is the stroll along the waterfront of Parga, with its many lovely restaurants, cafés and bars, the marvelous view from the castle and the little island of Holy Mary, as well as the colorful unique houses at the far end, in Kamini, which is going to blow your mind and you will not want to leave this place. It is rather crowded in the summer, and it is totally overcrowded on August 15 when the whole bay turns into a scenery for a spectacular feast, with fireworks and the representation of the return of the Pargians from their exile, so-called “varkarola”. It is worth parting from the waterfront for a little while to walk along the narrow alleys, to discover small churches with great history (like the church of the Holy Apostles), and to go up to the castle walking through the Turkish market where there are little shops with local products and souvenirs.